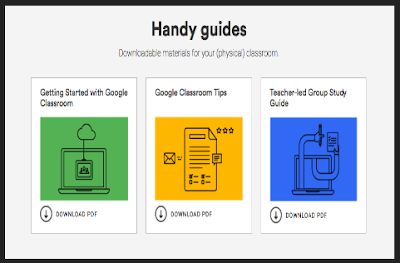 This visual guide will help you learn how to set up a class and add students in Classroom. More specifically, you will get to know how to: set up a class, add students by email or code, create an assignment, add materials and assignments, add grades, and how to share feedback with students. This guide helps you learn how to use Google Classroom for collaborative group work. It lays out a detailed step by step process on how to go about using Classroom with your colleagues to create study groups and group discussions.